This is a Mobile Application with many different tools integrated. It has been developed from an initial concept of Ultramagic Innovation Awards winner Han Nabben. • GPS track with different colors depending on the altitude. This helps identify the winds layers. 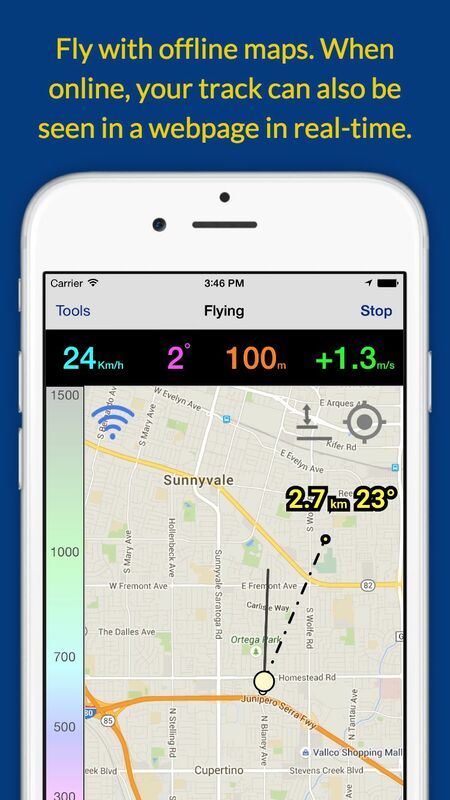 • See other pilots tracks in real-time while you fly. Their tracks colors will indicate their winds. • Free maps worldwide (OSM) for offline use during flight. Google Maps is also available. • Optimized for low power. You can turn off your screen while your flight is being recorded (the last screen shown needs to be the app). • Auto landing detection if you forget to stop the track. • Start recording before you start flying. Track can be automatically trimmed to obtain reliable flight duration data. • KML overlays can be used to map out electric lines, Prohibited Zones (PZs), targets… You can create them with Google Earth. • Vertical velocity and precise altitude for devices with barometer (iPhone 6, iPhone 6+ and iPad Air 2). 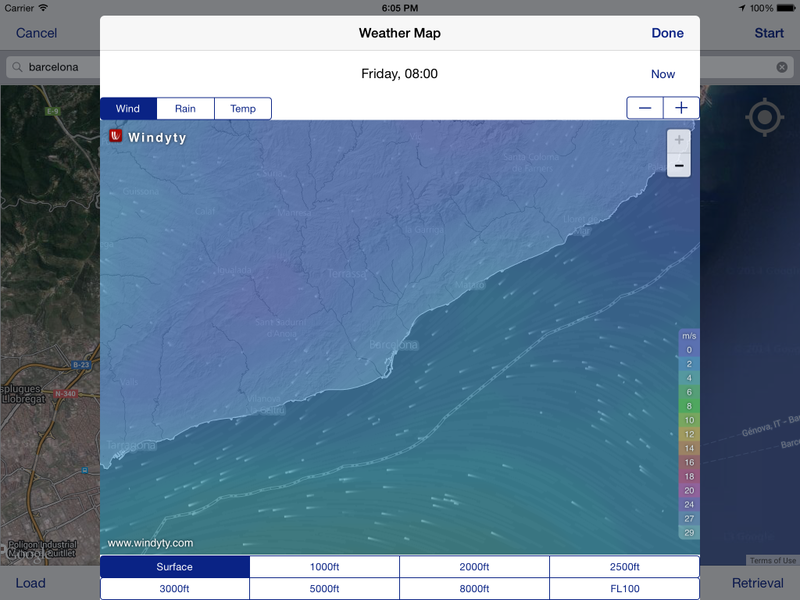 • Weather map with forecast and wind status at different altitudes. 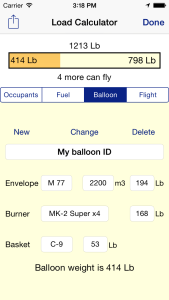 • Load calculator with user defined balloons. • Includes all Ultramagic manuals. 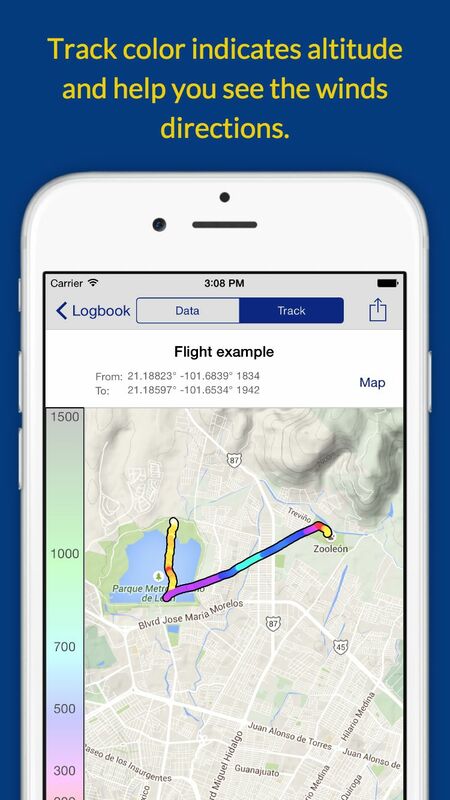 • All integrated in a flight logbook with search capabilities. Database can be exported in Excel compatible format. All your data can be transferred and backed up with iTunes. *Requires iOS 8 and GPS capable devices.